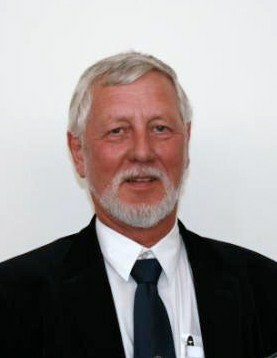 EMAC – European Maintenance Assessment Committee. To Strengthen and improve the competiveness and profitability of EFNMS/NMS member companies by a Supreme Maintenance Function. The EFNMS Maintenance Assessment Committee (EMAC) currently runs a European wide benchmark exercice. The aim is to identify best practices and standard values for typical Key Performance Indicators (KPIs) related to maintenance. The survey is addressed to Maintenance Managers active in factories and other asset intensive organisations. EuroMaintenance 4.0 conference in Antwerp, Belgium. Participants of the survey will receive a report on the benchmark results after the workshop at EuroMaintenance 2018. Click here to fill in the benchmark survey. This take about 15 – 20 minutes. The survey is open until April 15th 2018. For further inquiries: please contact survey@aem.es . 29 Maintenance KPI’s harmonised and explained to be used on a global basis. A common product of the SMRP (Society for Maintenance & Reliability Professionals U.S.A.) and the EFNMSvzw (European Federation of National Maintenance Societies). More than 20 Workshops have been performed so far with great success. For business terms for the arrangement of these workshops: EFNMS Workshop Bussterms (pdf). There is a group of approved facilitators to lead/support the events in different languages: Facilitator List (pdf). The user requirement specification for the calculation and presentation of Maintenance Key Performance Indicators according to EN 15341. Help for the configuration or procurement of a computerized maintenance management system in order to be able to produce the standardized KPI’s. 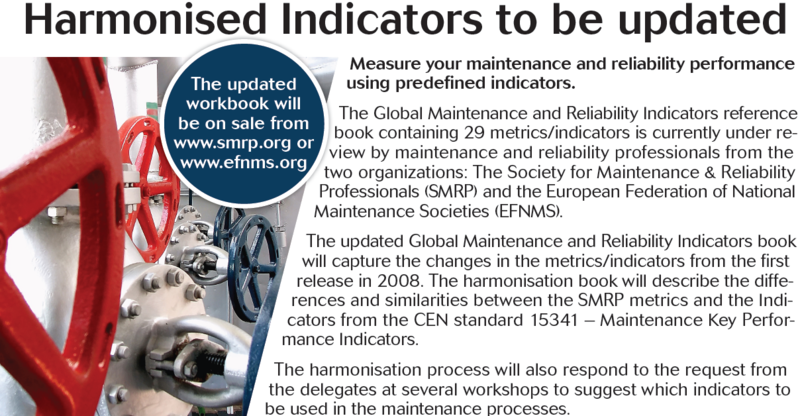 Only for EFNMS/National Maintenance Societies members. Please contact your society representative.